I left teaching a couple years ago because I wanted to be healthier. At the time, I was working really long, stressful hours under a boss I didn’t love, I was commuting between an hour to two hours each way, I was suffering from daily migraine pain, and I definitely didn’t have the energy to be cooking good, home cooked meals. We ate out a lot and canned and boxed food became our closest friends. I wasn’t happy and I certainly wasn’t healthy. While I cannot say we don’t occasionally eat boxed or canned food, making healthier recipes is a priority for me. It needs to be the norm and not the exception. It simply comes down to the fact that I feel better when we eat better. When I go to the store, it is my goal to buy smarter, to look for healthier ingredients to make healthier meals. While it can sometimes feel it, healthier doesn’t have to be harder. 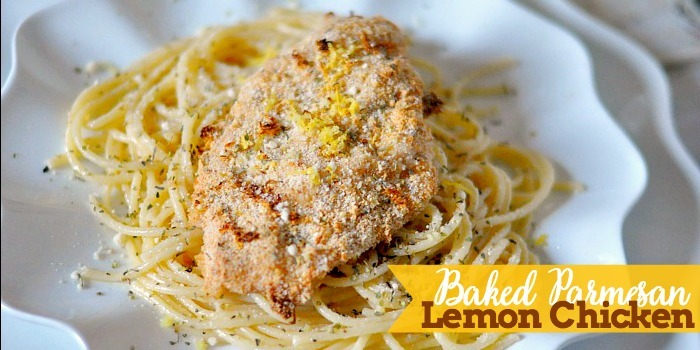 Take this easy Baked Parmesan Lemon Chicken Recipe! The prep work takes me less than 15 minutes and then I throw it into the oven to bake. I’m not spending a lot of time in the kitchen slaving over the stove to make a delicious and relatively healthy recipe. One way I know that this recipe helps toward my goal of healthier living is because it is made with NatureRaised Farms® Boneless Skinless Chicken Breast Portions. The chicken is 100% natural* – meaning no added antibiotics, hormones, or steroids** and no added preservatives or artificial ingredients. They are fed 100% vegetarian diet and there is no genetic modification. They are not kidding when they say 100% natural*! Plus, NatureRaised Farms raises their chickens in better environments: modern, open barns with great ventilation. 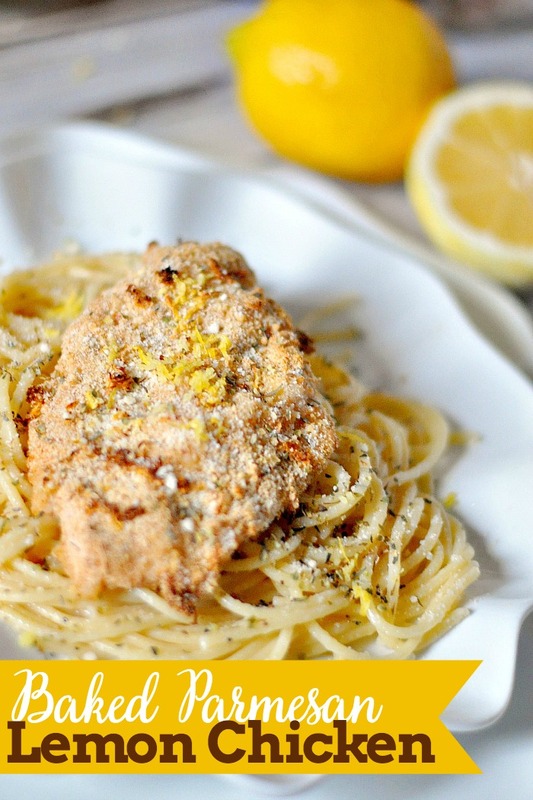 With the perfect zest of lemon, this is an awesome spring and summer recipe for dinner - Baked Parmesan Lemon Chicken Recipe! Preheat oven to 375 degrees F. Line a large cookie sheet pan with foil. Spray the foil with cooking spray. Set pan aside. 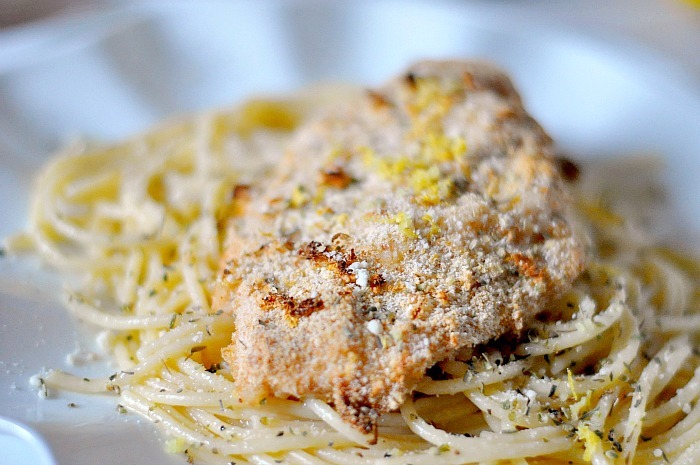 In a large bowl, combine bread crumbs, lemon zest, and parmesan; set aside. Working one at a time, dredge chicken in flour, dip into eggs, then dredge in bread crumbs mixture, pressing to coat. Season chicken with salt and pepper, to taste, and top off with a little extra lemon zest and parmesan. 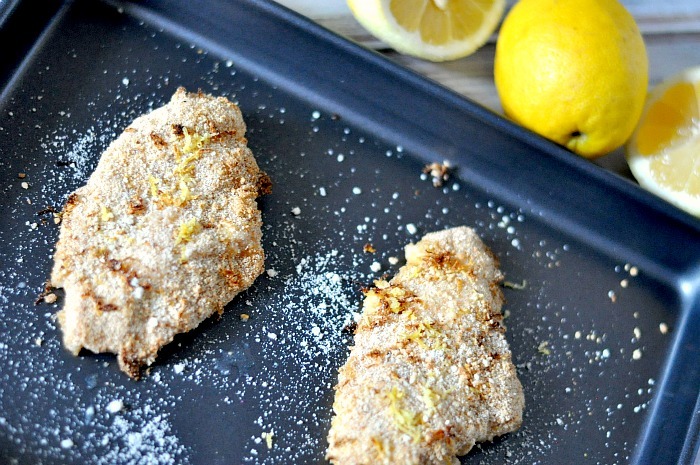 Sprinkle with fresh lemon juice before serving. Truly, one of the best ways to live a healthier lifestyle is to know about your food and where it comes from. NatureRaised Farms chicken is a great place to start! 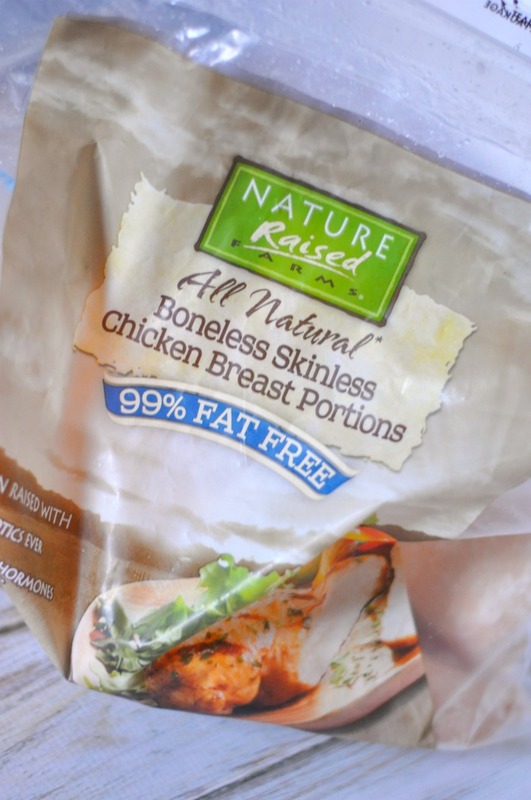 Shop at your local Sam’s Club freezer section to purchase NatureRaised Farms® Boneless Skinless Chicken Breast Portions. You can also follow along with NatureRaised Farms for more recipe inspiration on Facebook and Pinterest! I hope you enjoy this recipe! It is so perfect for spring and summer with the fabulous lemon flavor!